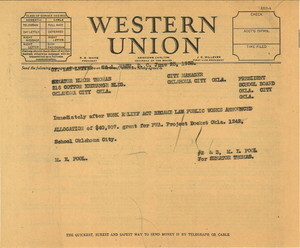 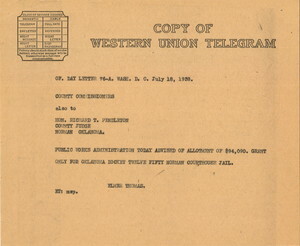 A telegram from Senator Elmer Thomas to the Oklahoma City officials about an PWA Allocation for schools in OKC. 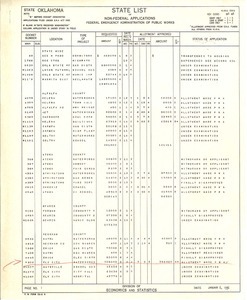 A list showing the status of Oklahoma applications submitted Federal Emergency Administration of Public Works in 1935. 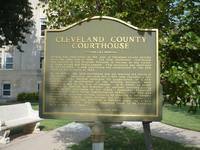 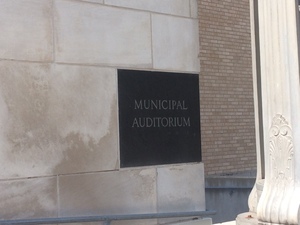 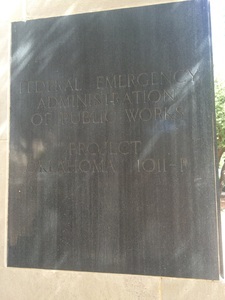 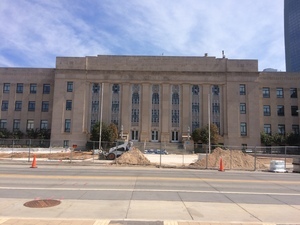 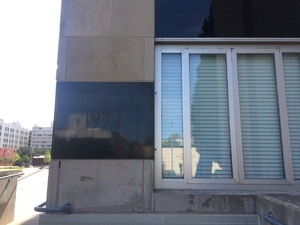 This side describes the project number and the administration that worked on building the courthouse. 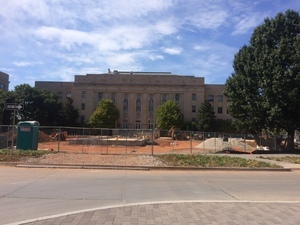 Tags: 1930s, Allotments, Carl Albert Center, Cleveland County, Cleveland County Courthouse, Correspondence, Courthouses, Elmer Thomas, Fort Smith, Funding, Lexington, Moore, Oklahoma, Oklahoma City, PWA, Texas, Washington D.C. 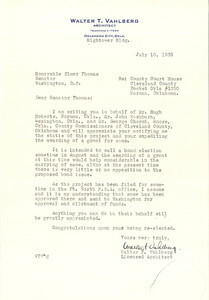 Telegram from Senator Elmer Thomas to the Cleveland County Commissioners and County Judge on July 18, 1938, announcing the PWA allotment of $94,090, for the courthouse.